Professional, accountable and responsive criminal justice systems are essential for addressing a range of complex security challenges while safeguarding human rights and upholding the rule of law. To be effective, the entire system, from lawmakers to law enforcement officials, prosecutors, judges, and prison administrators, and other actors involved in delivering and ensuring the accountability of justice and security services, require ongoing training and capacity development. Particularly in transitional, fragile and conflict-affected countries, developing the capacity of institutions that can uphold the rule of law and protect human rights are crucial for enhancing safety and security, strengthening accountability, promoting good governance. This report, co-authored by the Global Center’s Alistair Millar and Matthew Schwartz, outlines a series of recommendations for the International Institute for Justice and the Rule of Law (IIJ) in developing a curricula and program agenda based on the diverse needs of a multi-national and cross-regional constituency of partner countries. Once established, the IIJ will serve as a training center dedicated to strengthening criminal justice institutions, promoting regional legal cooperation, and fostering criminal justice practitioner networks based on a respect for human rights and the rule of law. 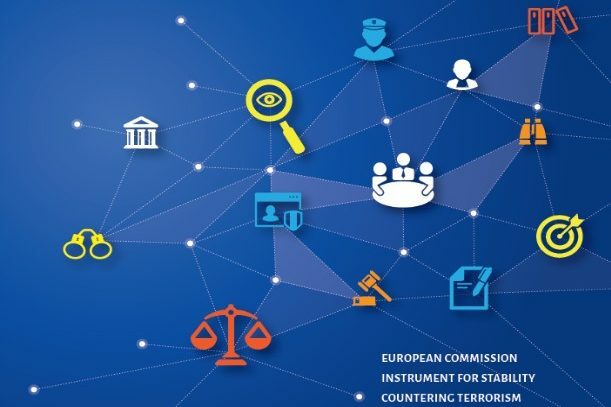 The core findings and recommendations of this report are derived from a larger European Union-supported study undertaken by an expert team led by Millar under the auspices of CIVI.POL Conseil. Based on extensive desk research, seven country visits, and consolations with more than 200 stakeholders, the study assessed criminal justice-related counterterrorism capacity building and training needs in 18 focus countries across East Africa and the Horn, the Middle East and North Africa, and West Africa the Sahel.